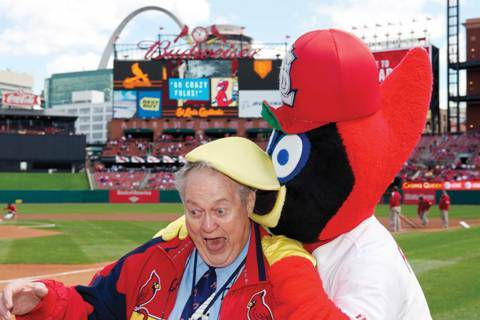 ST. LOUIS, November 1, 2012 – The entire St. Louis Cardinals family is saddened by the passing of Ernie Hays, retired Busch Stadium organist, last night at the age of 77. A St. Louis native, Hays began playing piano at the age of seven. He finished high school in Houston, Missouri, and majored in music at Drury College and Southwestern Missouri State University in Springfield. Hays served four years of active military service with the United States Navy before returning to St. Louis and earning an engineering degree from Washington University. 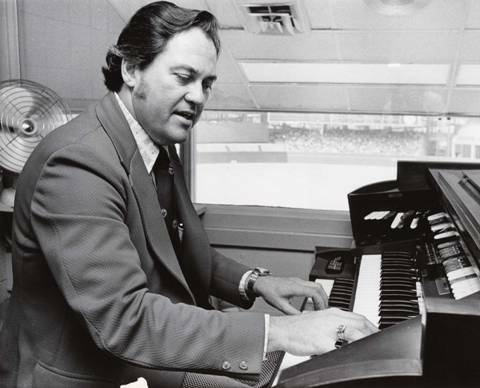 Hays’ sports music career began in 1971 when the Cardinals installed an organ in Busch Stadium II, and he quickly became a fixture at major St. Louis sporting events. Hays soon started playing for the St. Louis football Cardinals, the St. Louis Blues, and the St. Louis Stars and Steamers soccer teams in addition to area college teams. It was at a Steamers game where Hays first played “Here Comes The King,” the popular Budweiser beer advertising jingle, and a now staple at every Cardinals game. Hays is credited in St. Louis with popularizing batter “walk-up” songs, as well as the intro music for relief pitchers. Hays retired from the Cardinals in 2010 after 40 seasons. EDITOR’S NOTE BY SOME GUY NOT THE EDITOR: I was at the last game in 2010 when Ernie played Here Comes the King for the faithful at Busch. Standing ovations are not uncommon in St. Louis. Standing ovations involving nearly every single fan, player, vendor, coach, manager, and stadium personnel? Way more awesome. God bless you, Ernie Hays. Your music should play whenever I think of those innocent days years ago when I would listen to Jack Buck on the radio on my grandparent’s sun porch. Cardinals fan since I could hold a fishing pole steady. Accidental blogger. Opinionated. I could care less about what you think of me. Constantly confounded, bemused, and confuzzled (ie I'm a pc and a mac). I'm an IT infrastructure analyst with a penchant for breaking tech toys. I ate a sabermetric primer for breakfast. I love playing "All-powerful GM of MLB". The 2010 Cardinals represented a good, practical definition "cognitive dissonance". The 2011 version got by on duct tape and a prayer, and I'm fine with that. They just need new tape for #12 in 12.